Receding gums affect the comfort and appearance of your smile. Severe gum recession can even cause tooth loss if left untreated. At Oral Surgical Associates in Missoula, MT, we offer gum grafts to cover exposed tooth roots and restore the health of your gums. Drs. Eugene Morris and Armando Gama can perform gum grafting under sedation to ensure your comfort during treatment. 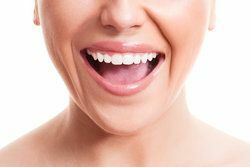 With a wide range of oral surgery procedures available at our practice, we are equipped to improve the health, comfort, and appearance of your smile. Gum recession is a gradual process in which your gum tissue slowly pulls away from the tooth. Recession is a common condition, affecting more than 50 percent of the adult population. We can restore both the health and appearance of your gums. Smokers are also more likely to develop gum recession. When left untreated, recession can cause painful dental sensitivity and eventual tooth loss. Addressing receding gums as early as possible is crucial to the health and stability of your smile. What Happens during a Gum Graft? Soft tissue grafting is a quick and relatively simple procedure. During the treatment, Dr. Morris or Gama will use healthy gum tissue taken from the roof of your mouth to rebuild areas of recession. Before beginning, we will numb the treatment areas with local anesthetic. We also offer several forms of sedation, including oral conscious and intravenous (IV) sedation, to ensure that you remain comfortable throughout the procedure. 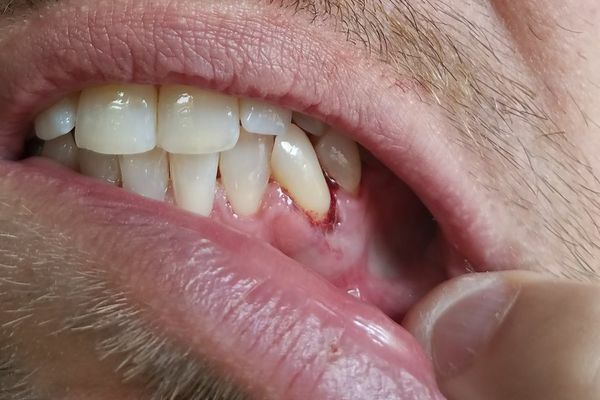 Connective tissue grafts: With this type of graft, the surgeon creates a flap on the roof of the mouth, removes tissue from underneath it, and places the tissue over the exposed tooth root. Free gingival grafts: This procedure is better suited for individuals with extensive tooth loss. It uses tissue taken directly from the roof of the mouth. Pedicle grafts: If you have plenty of gum tissue near the area of recession, your doctor can use this nearby tissue to cover the exposed root without taking a graft from the roof of your mouth. You will be able to return home immediately after your gum graft. However, if you receive sedation, you will need to arrange for someone to pick you up. When left untreated, gum recession can lead to a range of other serious health concerns, including tooth loss. The healing process after a soft tissue graft is typically quick. Most patients fully heal within one to two weeks. You may experience some discomfort after your procedure. While the level of discomfort can vary depending on the type of graft performed, patients can typically manage their pain with over-the-counter medications. Drs. Morris and Gama can monitor your recovery to ensure your graft heals properly. Once you have completely recovered, your gums should feel firmer and tighter, and look healthier. When left untreated, gum recession can lead to a range of other serious health concerns, including tooth loss. A graft by Dr. Morris or Dr. Gama can restore the health of your gums and prevent more severe issues from developing. For more information about the benefits of gum grafting, contact our office online or call (406) 728-6840 today.